. 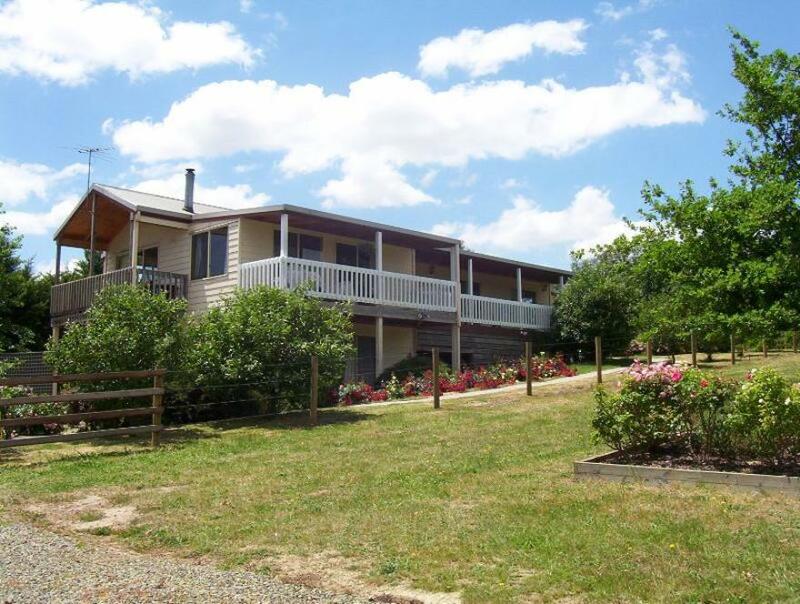 يعمل Yarra Glen Bed and Breakfast على ضمان إقامة مريحة لضيوفه من خلال خدماته الممتازة وحسن ضيافته. يمكن الاستمتاع بمجموعة من الخدمات على أعلى المستويات في الفندق كمثل واي فاي مجاني في جميع الغرف, واي فاي في المناطق العامة, صف السيارات. في Yarra Glen Bed and Breakfast غرف نوم يزيد عددها عن 3 صممت بذوق وعناية لتوفر لك كل وسائل الراحة . بعضها يحتوي أضاً على تلفزيون بشاشة مسطحة, غرف لغير المدخنين, مكيف هواء, تدفئة, شرفة/ تراس. سواء كنت من محبي الرياضة أو كنت تتطلع لتفريغ عناء نهار صعب، ستجد خدمات ذات مستوى عالي بانتظارك كمثل حديقة. استمتع بخدمات لا يعلى عليها وعنوان ذو اعتبار في Yarra Glen Bed and Breakfast . We stopped by the Yarra Glen B&B while visiting the Yarra Valley wineries. It was just for a night. Owners were knowledgeable and helpful giving us recommendations in the nearby area. Room was quiet and clean. The place is really beautiful and located in a very peaceful neighbourhood. Cozy place perfect for resting and stop over! great location to township and winerys. Lovely owners, hospitality and nice breakfast. Very comfortable beds and elec. blanket! We had a lovely experience. The staff were very accommodating. Loved the area and travelling around. Was very peace and quite! It was a good stay, i do feel the rooms are quiet small and the walls are thin, but it was still lovely. I expect a B & B to give a full breakfast. This was an extra cost, and nowhere did it say a continental breakfast. The previous place we stayed at gave a great breakfast. We enjoyed our stay at Yarra Glen B&B. 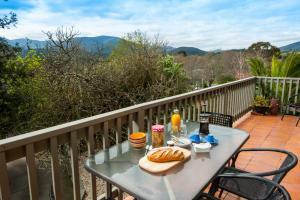 The staff were friendly, rooms comfortable and clean and we appreciated the breakfast basket. We were lucky to get the front room and it was nice to sit on the balcony & look out into the garden. Really, good value for money in the area too. Having breakfast outside the apartment is really pleasant and a good way to start the day. With the small greeneries in front and the serene environment and the individual table and chairs to enjoy breakfast outside the room with the birds chirping is really good. A good amount of breakfast is provided too. Will be better to arrive early before night falls as there's not much street lights in the area. Least there's a small sign in front to lead to the B&B. Great continental breakfast in room. WiFi internet is free. Bed is harder and it's exactly we wanted. Great service. Provided great explanation of where to go and what to see especially which winery must go. Also explained where to have meal. Great! WiFi internet is free for us to plan next few days' journey if you plan to stay longer in Melbourne. Love the room, cosy and lovely. Love the bed, it's not soft type but hard type as it is exactly what we wanted. Great continental breakfast prepared in room with juice and milk and etc. a lovely way to unwind and relax. this b&b is centrally located with easy access to everything. it is quiet and self sufficient with everything supplied for breakfast including cereals, yoghurt, crumpets, bread (yummy wholegrain), juice & spreads. nice crockery & cutlery supplied. it is clean and has a tv with a dvd player as well as an air conditioner. 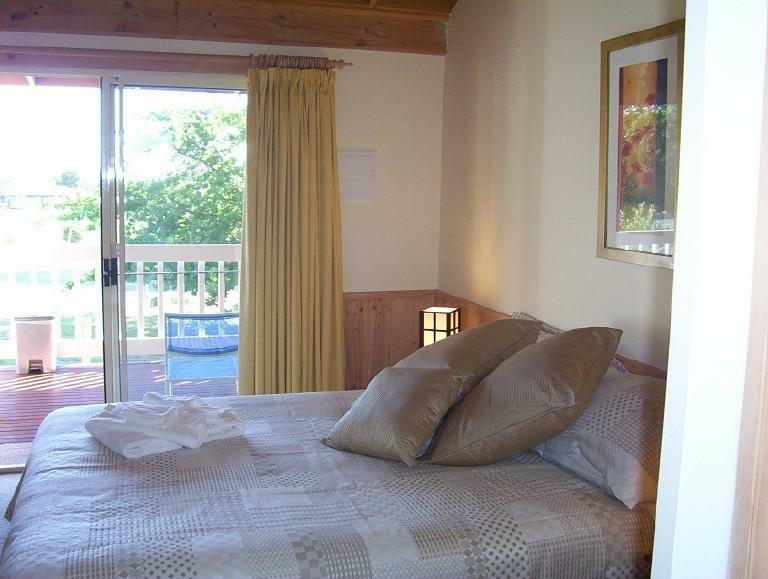 there is also access to a lovely garden or a deck with private outdoor furniture. the rooms aren't huge and don't have very trendy decor but they are very comfortable with a cottage feel and have all that you would need for a weekend getaway. we went up for the melbourne cup weekend and also discovered some great eating places in central yarra glen. 방도 깨끗했고 시설도 나쁘지 않았습니다. 그러나 아침은 생각보다 많이 빈약한 부분이 많았습니다. 빵과 몇개의 잼으로 호텔이름에 비해 아침은 많이 빈약 한 듯 합니다.